If you are currently living in or around the St. Louis area and have been seeking out a debt settlement company but are skeptical due to many scam companies, keep reading. Many popular national debt settlement agencies are infamous for advertising on radios, billboards, and television that they can wipe out your debt over night. These companies also claim that they can instantly save you a minimum of 70% on all of your credit card accounts. First off, that is just unrealistic. Truth-be-told there is no magic wand that can relieve you of your debt overnight. The good news is there are a few reputable and creditable agencies that offer legitimate programs to really help you overcome your debt burden. For example, by going with PCS Debt Relief, who offers a debt settlement program in St. Louis, you receive a full satisfaction guarantee. Their are no up-front fees so you will receive debt relief before PCS Debt Relief receives payment. 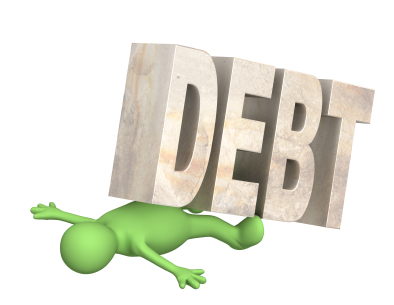 Still curious to know exactly what is the Debt Settlement Program offered by PCS Debt Relief? It is a program where one of their knowledgeable and experienced debt analysts help you reduce the balance you owe to your creditors by negotiating with them to pay off the balance in one to a few lump sum payments. The problem with debt settlement is that too many companies try to scam their clients by taking up-front fees from the reserve set aside, and then never do anything more with the accounts; leaving clients in worse trouble then they were before. These instances happen so often that the general public tries to do debt settlement on their own, which is a very difficult task for people. Truth be told most all banks have special representatives that deal with you and they know exactly what to say to make you think you are making progress on your accounts, when really you are going nowhere fast. PCS Debt Relief’s Debt Settlement St. Louis program is the best local service offered in Missouri. With a 0% complaint history and very credible resources, PCS Debt Relief is a leader in its field. They offer free consultations to teach you about the wide variety of debt relief programs that are available so your needs can be personally met. With a no-upfront fee policy, customers are ensured a satisfaction guarantee. Call them today to learn more at 636-209-4481.